The ISCA-led MOVE Transfer project, sponsored by Coca-Cola, is a process of identifying physical activity initiatives for hard-to-reach populations that have run successfully in one setting and transferring them to a new setting. As part of the project, the Romanian Federation Sport for All has transferred its MOVE Pilot Project, developed under ISCA EU-supported MOVE project, ‘Interethnic Cup Bucovina’, a physical activity and leisure event held in Botosani Penitentiary last year. The transfer of the event was done from Romanian Federation Sport for All (AJSPT) Suceava to another AJSPT district association, Iasi, and took place between 4 and 5 September 2014 at the maximum security penitentiary in Iasi, an institution under the patronage of the National Administration of Penitentiaries. The beneficiaries of these activities were the prisoners in this institution, who were glad to break their routine of 22 hours spent in their cells. Under the maximum security rules, they are only allowed to go out of their cells for 2 hours, during which they walk and exercise in the prison. Otherwise, they comply with the activities provided by the administration. 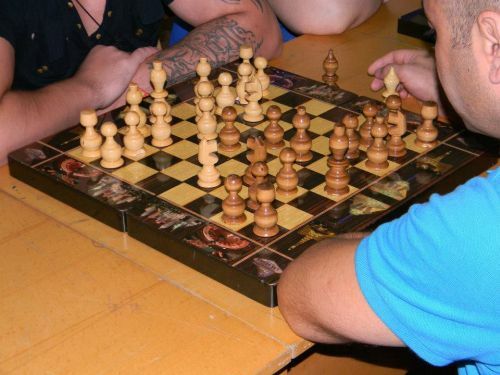 The new Interethnic Cup event saw 100 prisoners engaged in football competitions and 30 guards and prisoners in chess tournaments. Besides giving the prisoners a break in their routine and the opportunity to be physically active, they were awarded with diplomas, medals and T-shirts with the name of the project on them, as well as enjoying Coca-Cola Romania products. MOVE Transfer is an initiative that opens doors and gives opportunities for hard-to-reach populations, such as this target group, to retain their rights to physical activity despite the difficult situations they face. Although one transfer has been successfully implemented in Romania, the RomanianFederation Sport for All is moving forward with another activity to be transferred in Iasi, but this time with Bethany Social Services Foundation. The target group will be children and young people with disabilities together with their families. “Through this project, we want to share not only expertise with this target group, but also a lot of joy,” Androhovici says.